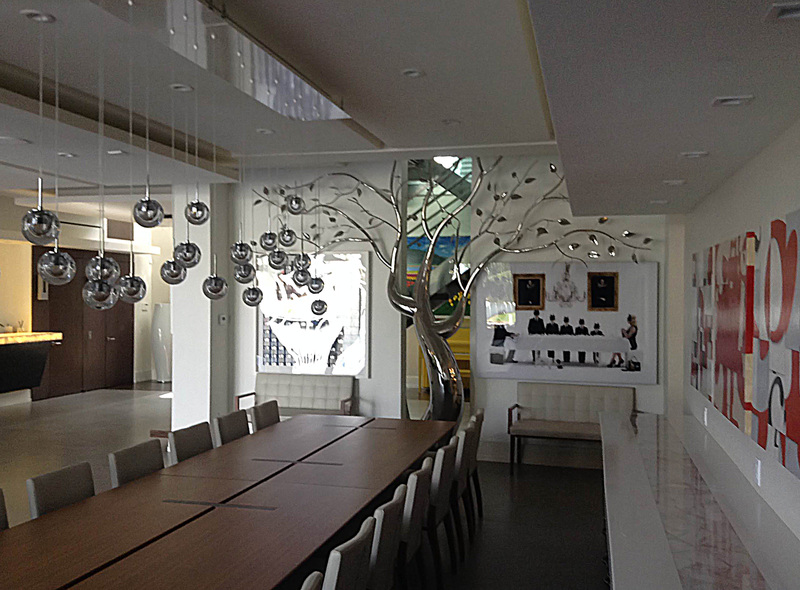 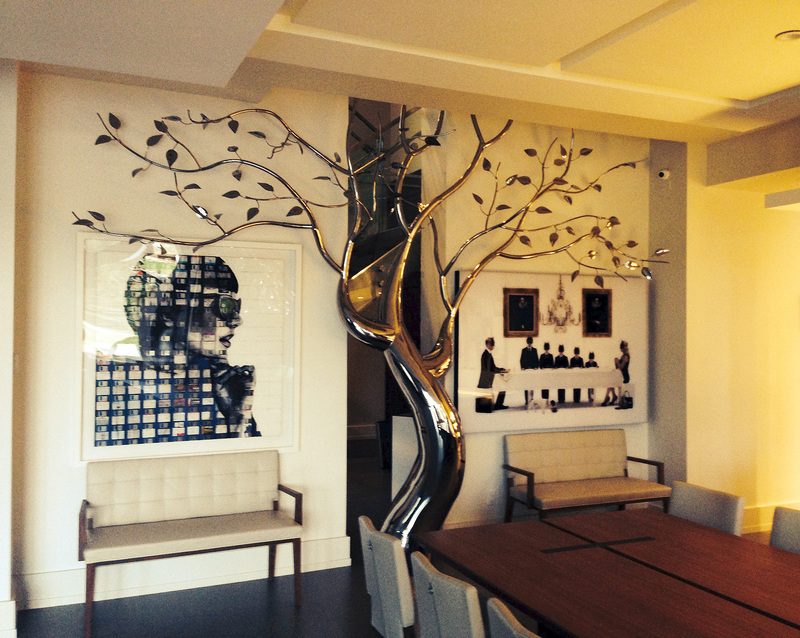 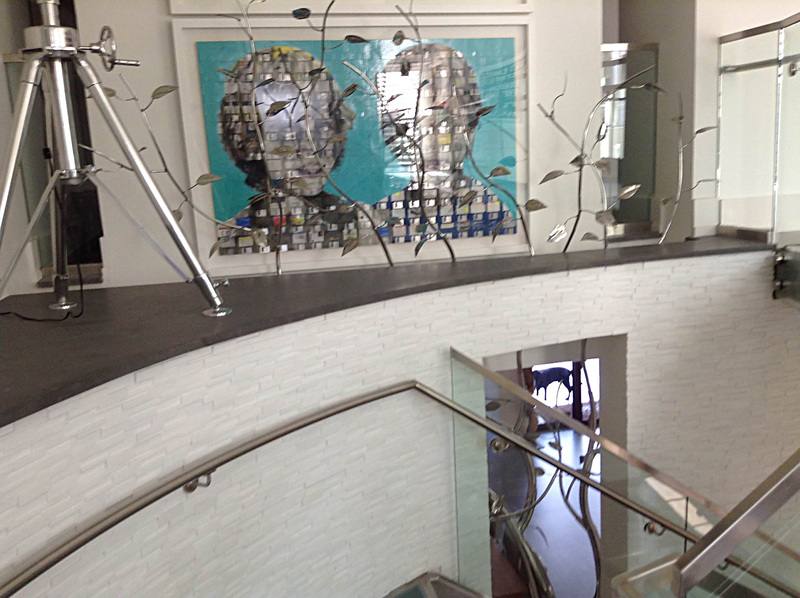 This piece was completed in the spring of 2012, and installed inside the South Beach FL home of Mr. Eyal Lalo, CEO of Invicta Watch Co. 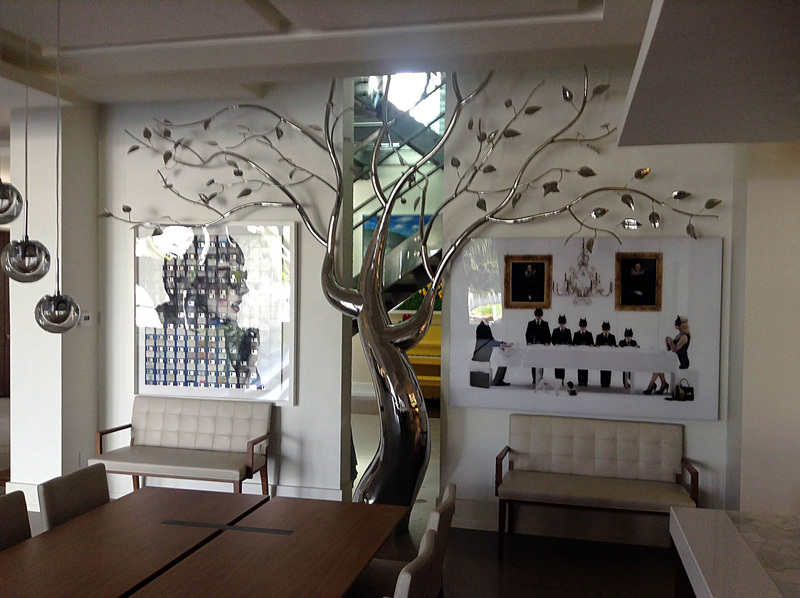 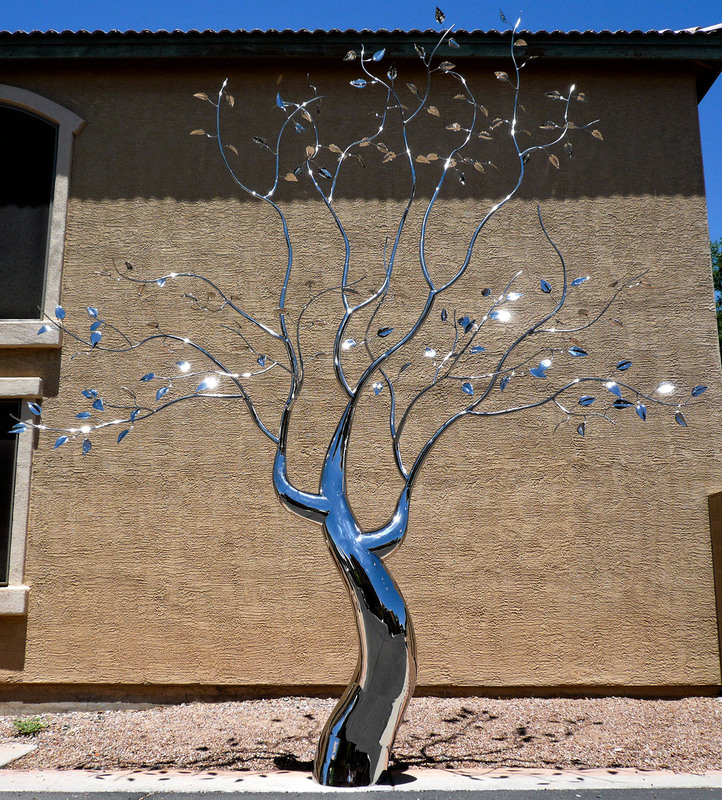 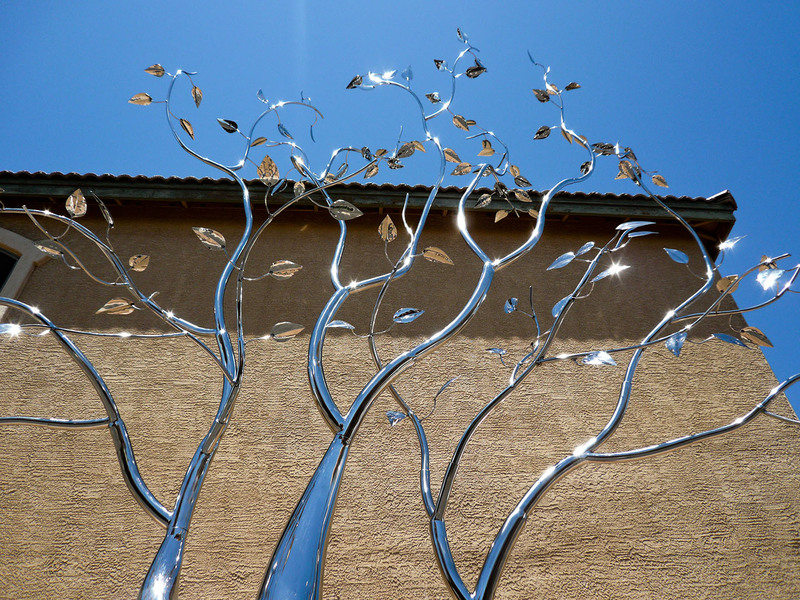 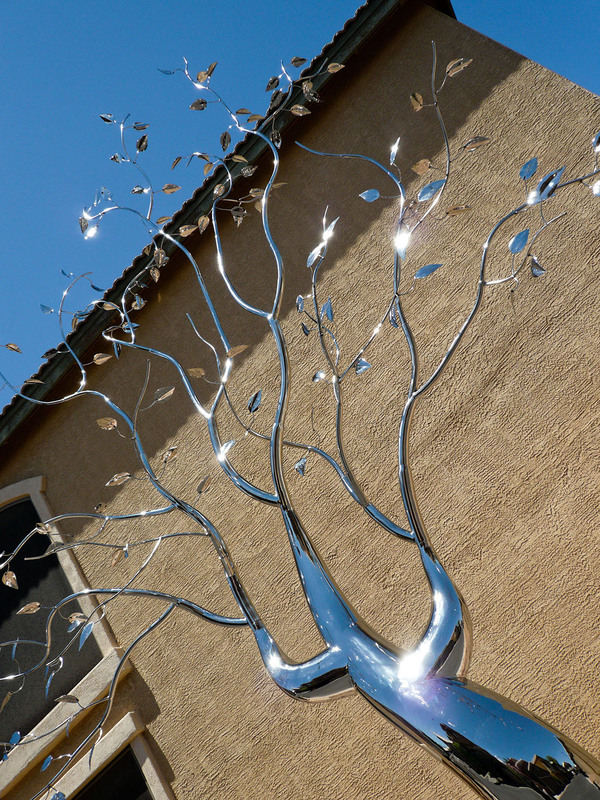 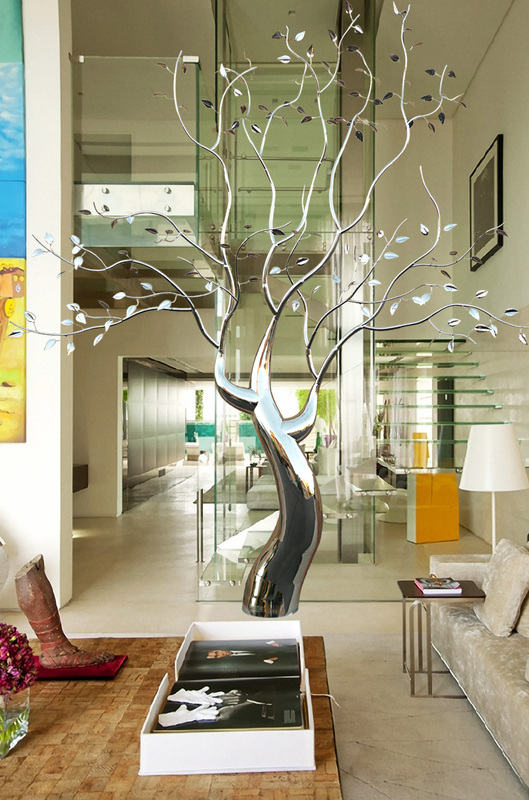 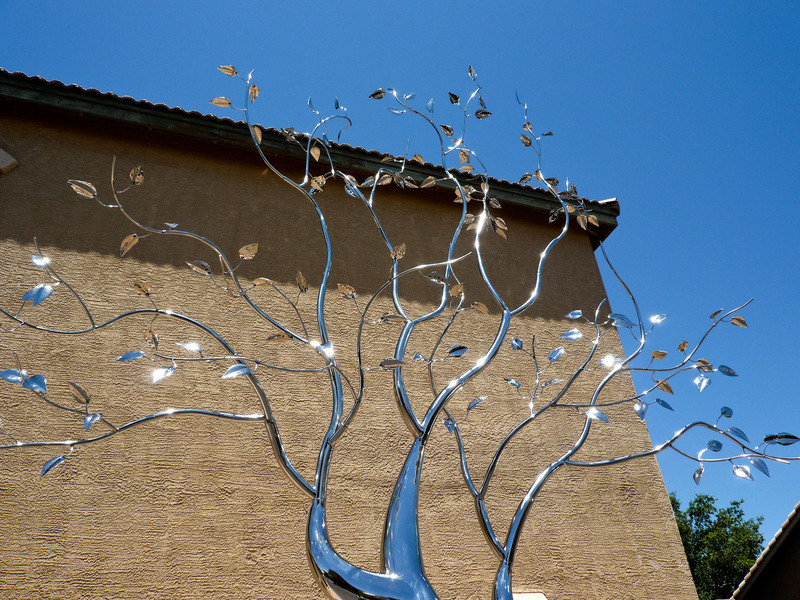 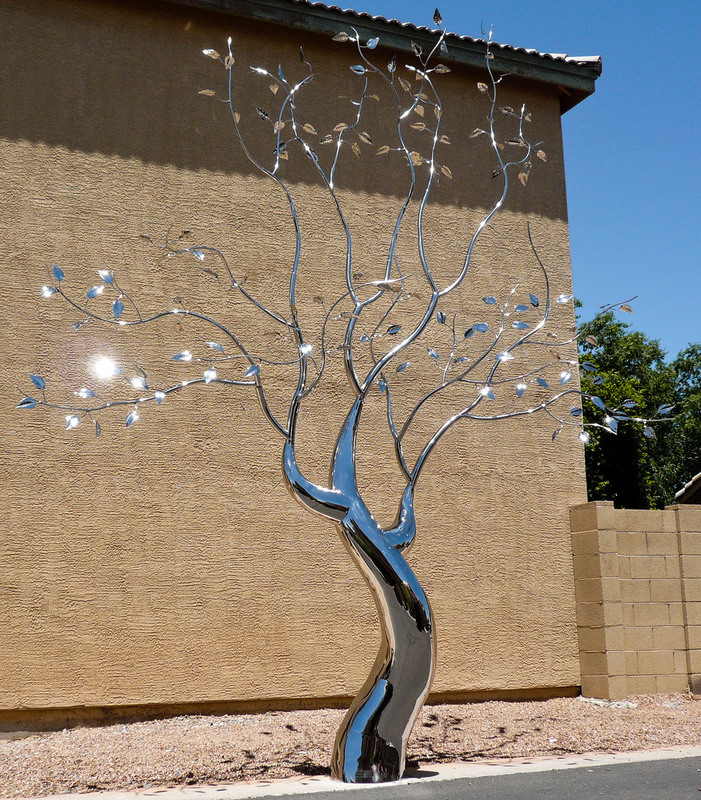 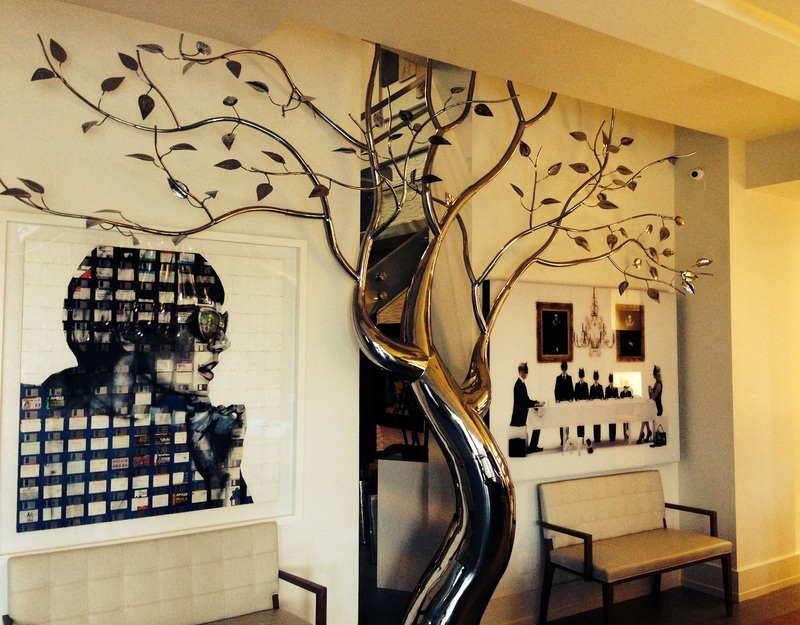 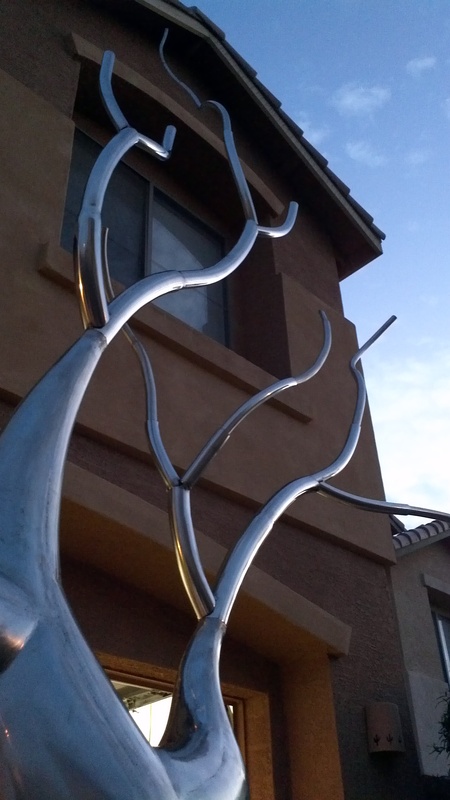 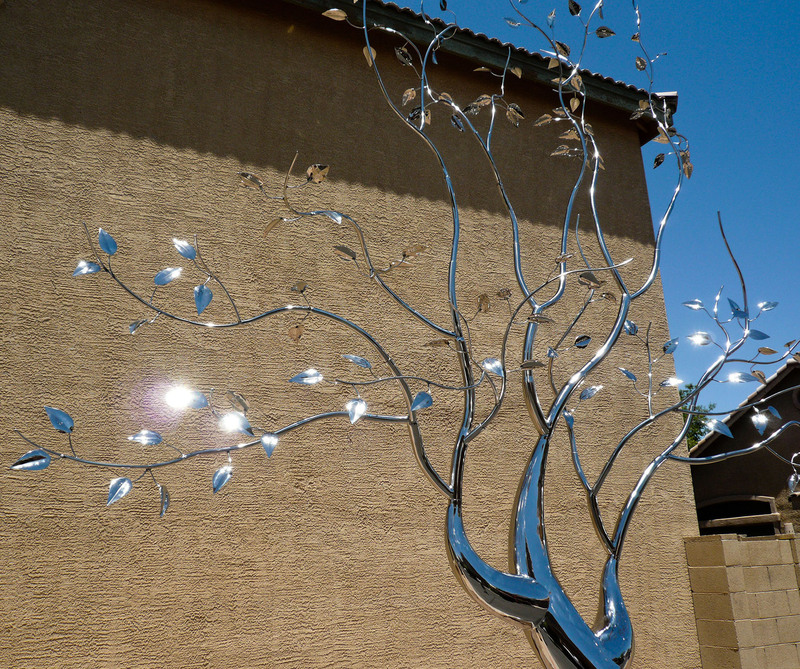 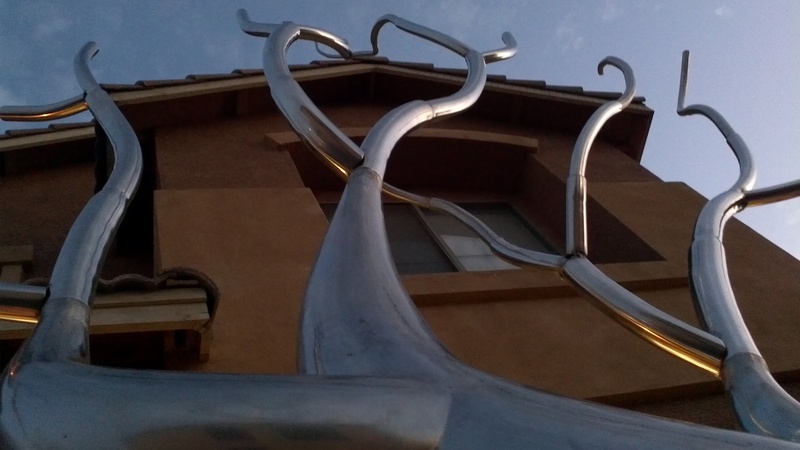 The entire sculpture was hand formed and fabricated from 304 stainless steel, and polished to a mirror finish. 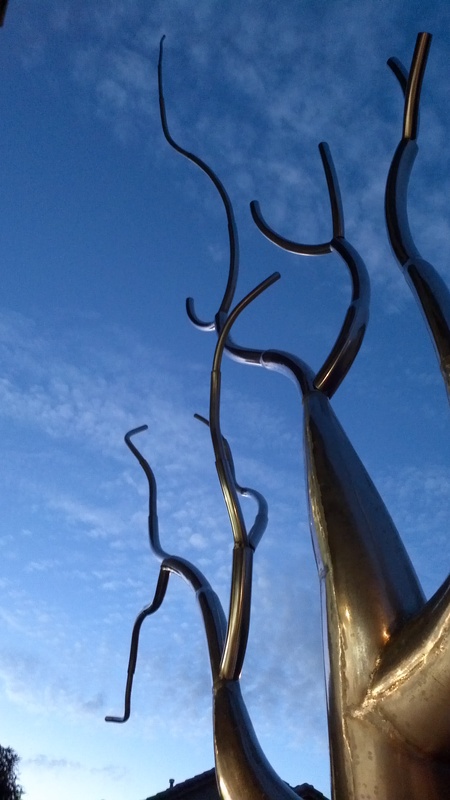 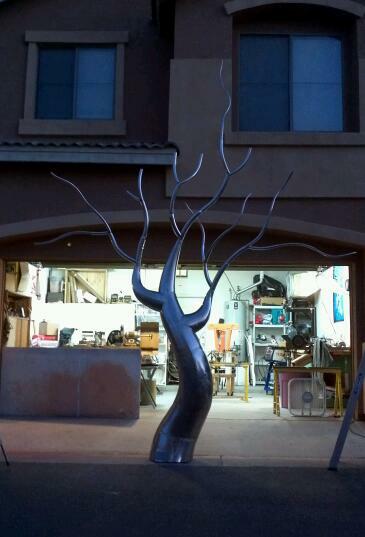 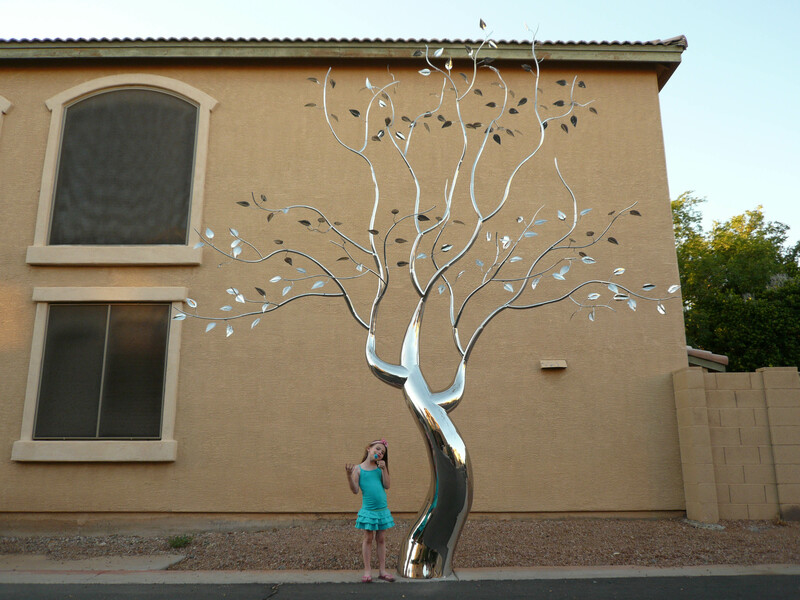 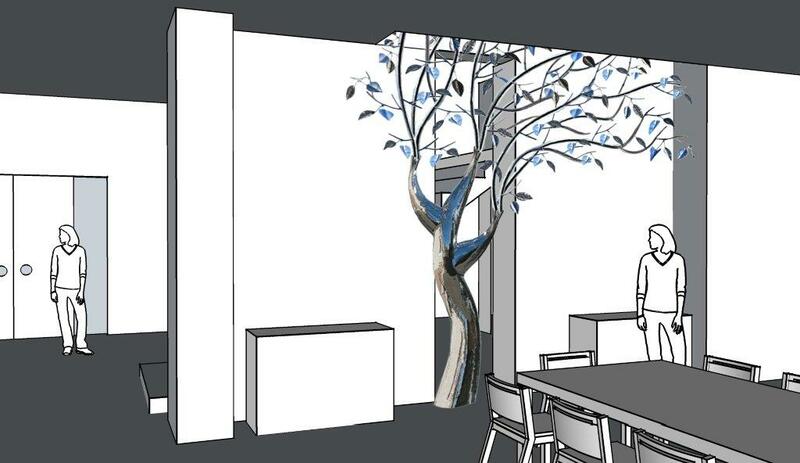 The piece stands approximately 16-17ft tall, and is 14-15ft wide. 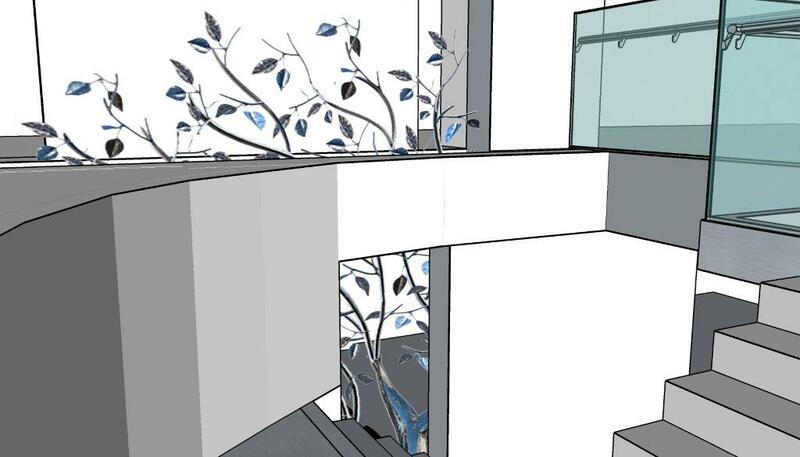 As seen from the images, the sculpture begins on the 1st floor and passes through an opening, approx. 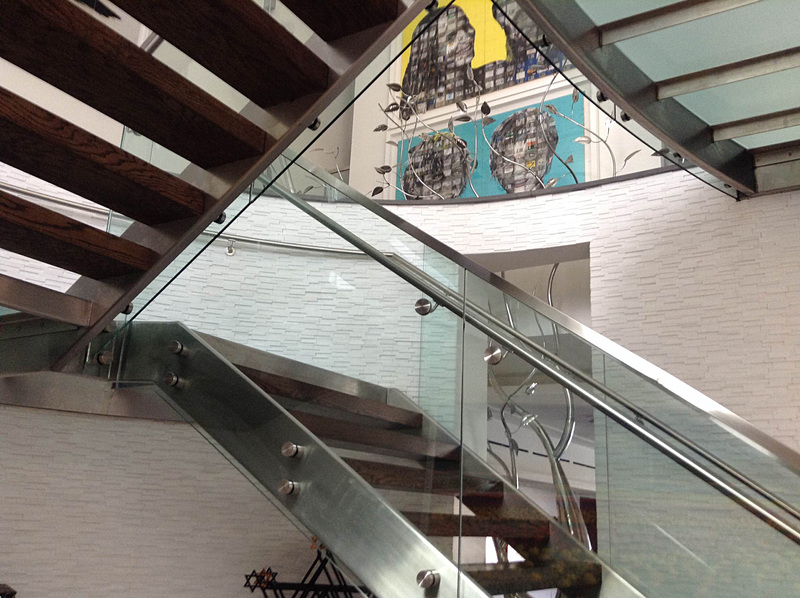 12.5ft wide by 1.5ft deep in the 11ft ceiling above. 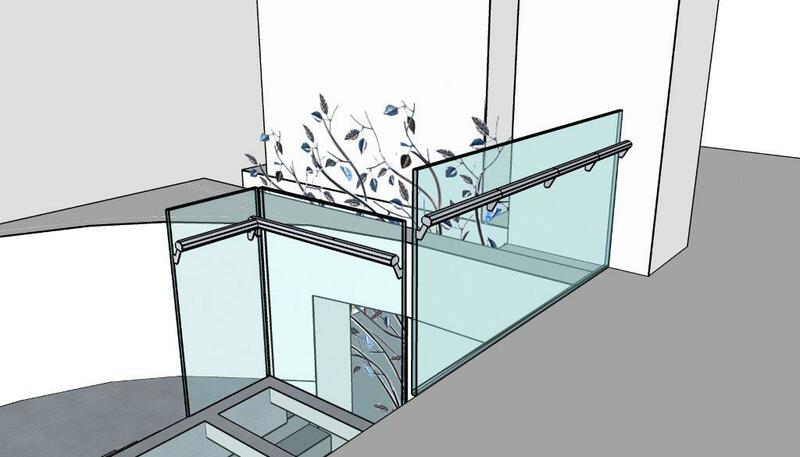 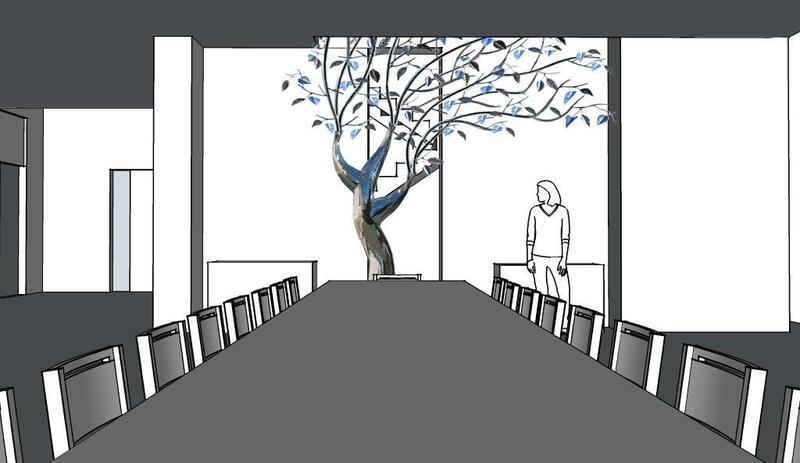 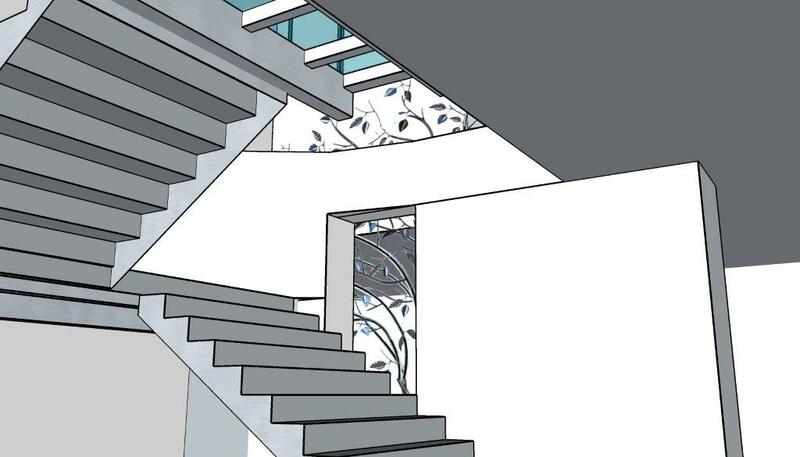 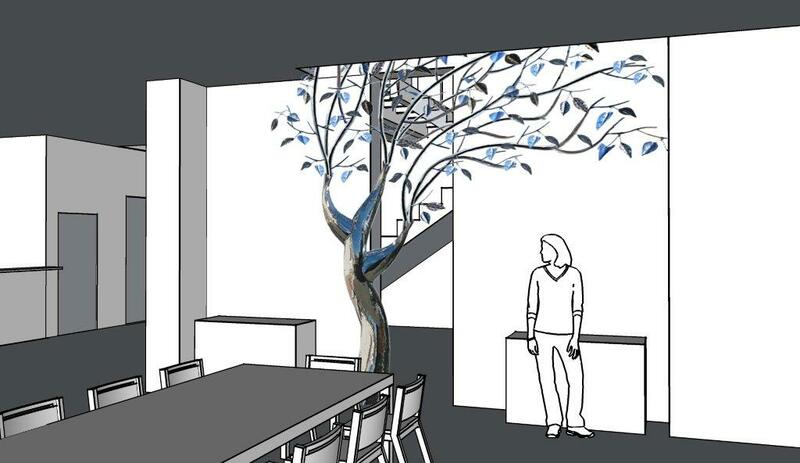 The uppermost branches of the sculpture emerge into the second level in the space opposite the dinning room and can be viewed above, and as you move up, the glass and stainless steel staircase.